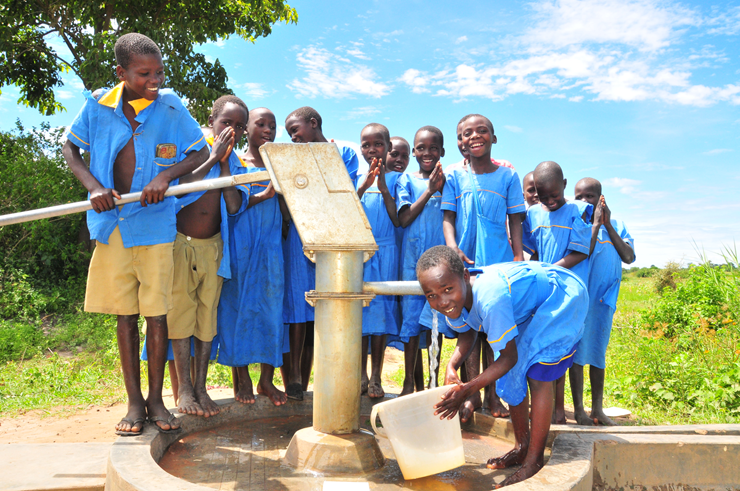 You can fund your own well for a school or village in East Africa with Drop in the Bucket. Your well will make a massive impact on the local community and immediately start changing lives. We will also set an engraved tile into the base of the well with the inscription of your choice and will send you photos of the water situation before and after the well so that you can just how big a difference you have made. Drop in the Bucket will add a page to our website with the photos from your well and the GPS coordinates so that you can see on a map the exact location of your well. If you would like to fund a well at a school, please consider either making a donation for $6000 or starting a fundraising campaign to build your own well.